I think the mojito is probably my favorite mixed drink. 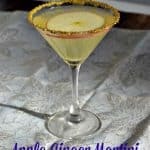 Rum is my favorite liquor and mint and lime are just so refreshing and make a fabulous drink. 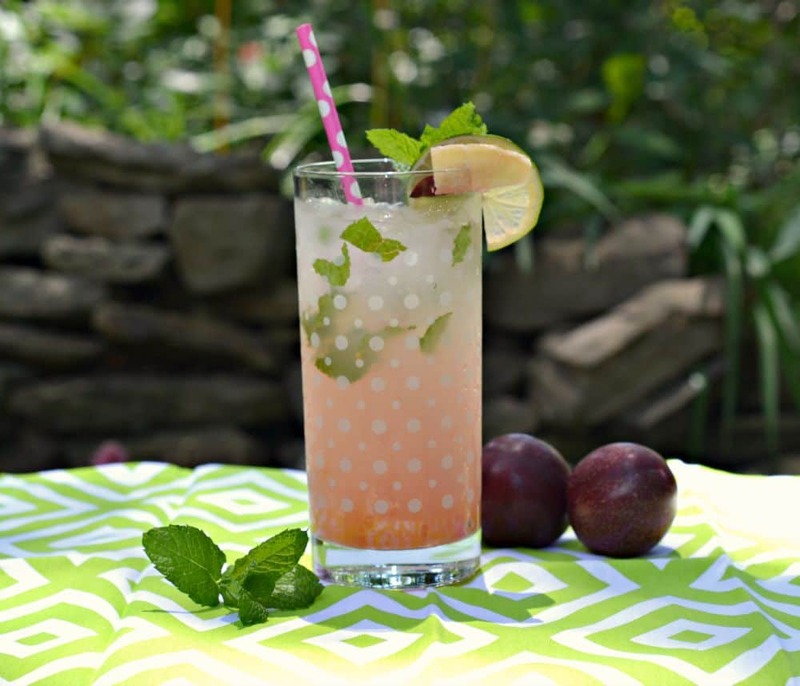 So a few weeks ago when I made a tasty plum ginger syrup I started wondering what it would be like in my mojito instead of the typical simple syrup. I figured it would make it a really pretty color and would give it some added flavor. Since mint has been going crazy in my garden I gave it a try. I first muddled the mint in a glass with the lime juice and the rum. Then I added the plum ginger simple syrup. Finally I topped it all off with sparkling water. The result was a really pretty pale purple cocktail with flecks of green from the mint in it. This mojito was delicious! It was still tart from the lime juice but it was sweet from the plum syrup and slightly spicy from the ginger. 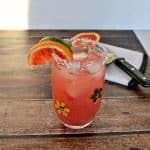 All of the flavors paired so well together and made for a tasty cocktail! 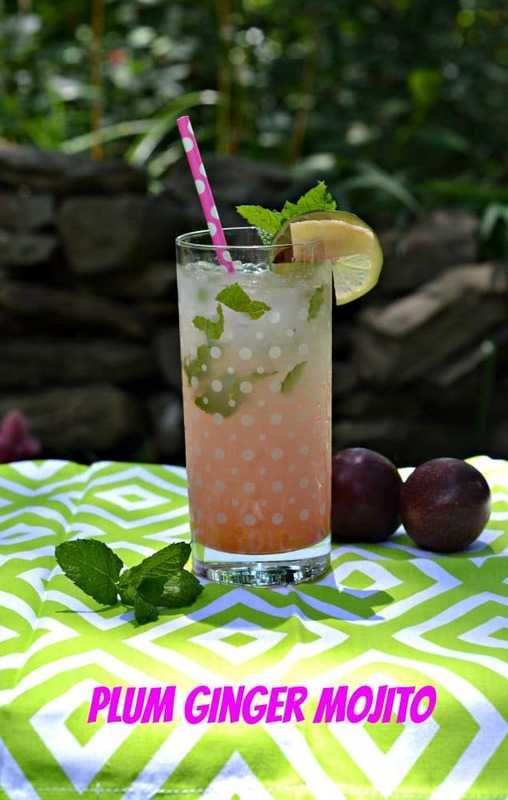 Kick your mojito up a notch with sweet and spiced Plum Ginger Simple Syrup. To make the simple syrup combine all ingredients in a small saucepan. Bring to a boil and let simmer for 2-3 minutes. Remove from heat, cover, and let steep for 30 minutes. Pick out the large pieces of plum and dispose of them. Pour the remaining plum ginger syrup into a clean mason jar and store in the refrigerator for up to 2 weeks. 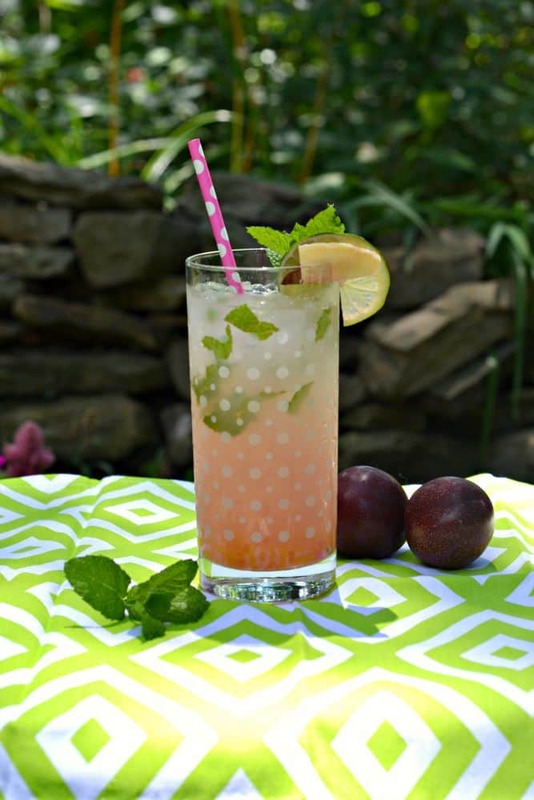 To make the mojito pout the rum, lime juice, and mint into a tall glass. Muddle together to combine the flavors. Add in the plum ginger syrup. 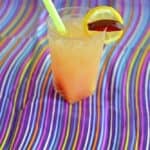 Fill the glass with ice and then fill to the top with sparkling water. Mix well and serve.